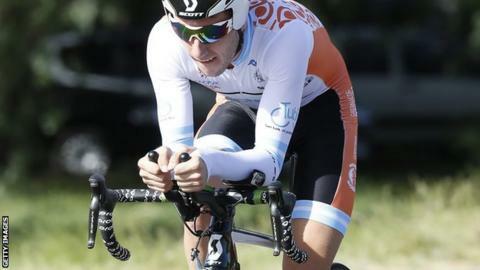 Britain's Adam Yates retains the overall lead going into Sunday's final day of the Tour of Turkey. The 21-year-old, who rides with the Orica GreenEdge team, leads Estonia's Rein Taaramae by one second. The eight-day race will conclude with a final 121km stage in Istanbul. Cannondale's Ella Viviani of Italy won his second stage in three days, beating team-mate Andrea Guardini and Mark Cavendish in a sprint finish to the 136km stage from Kusudasi to Izmir.